Lively Lewisham is full of activities and events to keep you busy this summer, so don’t despair if you are not planning a trip to sunnier climes. In this, the first article in our week-long staycation series, we will suggest restaurants, coffee shops and other events to help get you in the holiday mood at home. We’ve chosen activities to suit families, couples and groups of friends, just make your choice from the tabs below. Use the map to find how to get to each place, red stars show the activities we would recommend for families, green for couples and blue for friends. Not having to prepare and tidy up after breakfast is a luxury normally reserved for holidays, so eating breakfast out is a good way to start your staycation weekend. 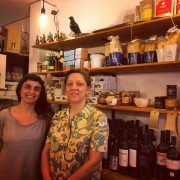 The Café of Good Hope in Hither Green serves food for all the family, including a varied weekend brunch. Proceeds from the café go towards the work of the Jimmy Mizen Foundation, a charity set up by the family of murdered teenager Jimmy Mizen. Although we can hope for endless sunshine this summer, sometimes the British weather lets us down. Wavelengths Leisure Centre in Deptford has a soft place centre to occupy under 12s on rainy days. 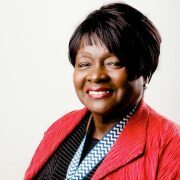 Sessions cost £2.55 for Lewisham residents and £2.80 for non-residents. It’s worth calling before you visit as the centre is sometimes closed for private parties. 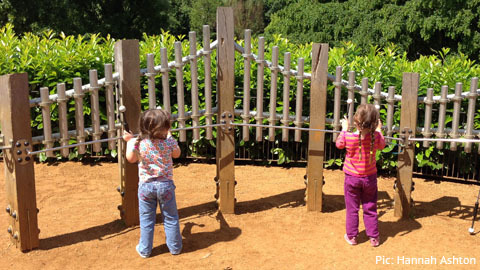 Horniman Museum and Gardens in Forest Hill has a variety of activities for all weathers. 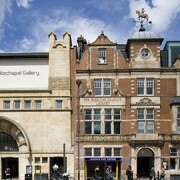 The main museum is free, but some of the events and exhibitions charge. There is enough going on for a whole day visit, including an aquarium, African worlds gallery and 16 acres of gardens. A café sells hot and cold food, including organic lunch boxes for children for £4.50 or take a picnic to enjoy in the gardens. Hilly Fields, Ladywell is a park with a view, being 175 feet above sea level. The park has a modern and well-maintained children’s play area with a variety of equipment, including climbing frames and a sand pit. 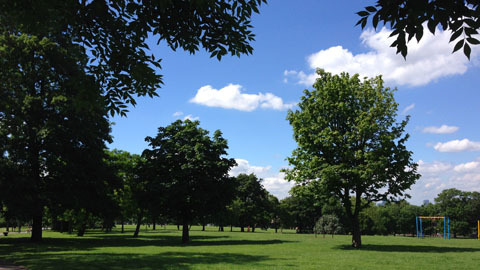 Hilly Fields is also home to Pistachios in the park café where you can buy the ice creams that are almost compulsory after a trip to the park. 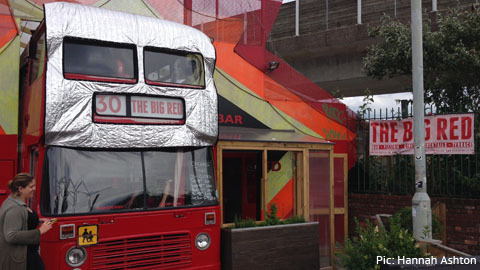 No one wants to cook dinner after such a busy weekend, so why not have dinner at Big Red Pizza Bus, Deptford? Eating pizza inside an old London bus is a novelty almost guaranteed to please even the fussiest child. The restaurant sells pizza and pasta dishes, and has a drinks and cocktails menu to make sure the adults have fun too. Big Red has a selection of events taking place over the summer, including free children’s film screenings, so check the website before you go to see what’s on. Lewisham has many activities perfect for a romantic weekend for two. Start your staycation with breakfast at the Brockley Mess, a café, bar and gallery in Brockley Road. This friendly, modern café has a large selection of breakfast choices, including a breakfast burrito if you are feeling adventurous and a full English for those in a more traditional mood. Following a leisurely breakfast, visit Sydenham artisan market. 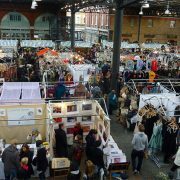 Held on the second Saturday of each month, 10am - 4pm, the market has over 20 stalls selling a variety of food from cakes, to cheese to pasta. You will also find plenty of food for lunch to eat while you shop. For a chance of pace after a food-filled morning, take a walk in the park. Surrounded by ancient woodland, with bird-song in the air and squirrels scurrying through the undergrowth, Beckenham Place Park is great for forgetting about the stresses of London life. 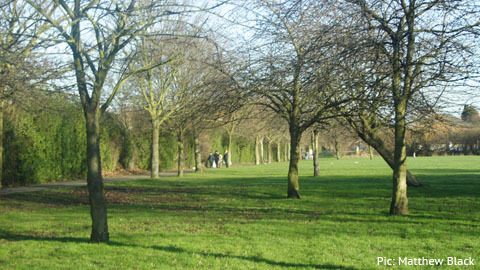 It is the largest open space in the borough, covering around 214 acres. This nature trail, compiled by the Beckenham Place Park friends is two and a quarter miles long and takes you through some of the park’s ancient woodland. For those in need of a caffeine fix with a romantic twist, You Don’t Bring Me Flowers, in Hither Green is a coffee shop and florist. The smells of coffee and flowers intermingle in the artistic shop, where you can enjoy your choice of cake while admiring the bouquets on display. Le Querce is an Italian restaurant in Forest Hill that prides itself on its friendly atmosphere. The owner, Antonello Serra, previously worked at the Michelin starred Il Faro restaurant in Sardinia and has created a little piece of Italy here in London. The menu features a range of pasta and pizza and daily specials that are advertised on the restaurant’s Twitter account. A variety of diets are catered for, including vegetarian, vegan and gluten free, making it a perfect end to any couple’s staycation. Breakfast at The London Particular in New Cross is a great way to kick off a fun filled staycation with friends. The trendy restaurant has large tables that are big enough for a group of mates to sit and enjoy the locally sourced food. The menu varies, but always includes a selection of meals sure to impress even your fussiest friend. Food is reasonably priced, for example two slices of warm banana and cranberry loaf with cinnamon yoghurt is £4.50. Relaxing by the pool is likely to be an important part of any holiday, and this staycation does not have to be an exception. Wavelengths Leisure Centre in Deptford has two pools, a 25m main pool for the energetic members of your group to practice their front crawl, and a leisure pool with flumes and a wave machine. The friendly Irish welcome you will receive in Maggie’s Restaurant, Lewisham (and the free top-ups of tea and coffee!) make it the perfect place to stop for lunch. Choose from rolls and sandwiches, or baguettes and ciabattas with fillings such as egg and bacon, all made to order. Those with larger appetites are also catered for, with traditional favourites such as cottage pie and bangers and mash also on the menu. Prices are cheap, leaving you and your friends with more money to spend on drinks later! 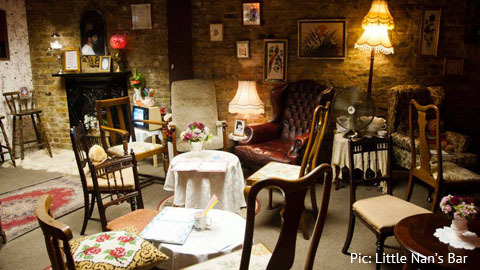 Hidden down a side street in Deptford is quirky Little Nan’s Bar, a unique venue, serving a variety of interestingly named drinks. Decorated to look like your Granny’s living room, cocktails such as the Queen Victoria (Earl Grey infused gin, topped up with tonic and lemon juice) are served in mugs and teapots. Owner, ‘Little Nan’s Grandson’ Tristan is also offering ELL readers who mention this article and check in on Facebook or Twitter a free jar of Little Nan's Candy vodka which includes a button magnet.